Black Desert Online has recently reached 10 million registered players worldwide. 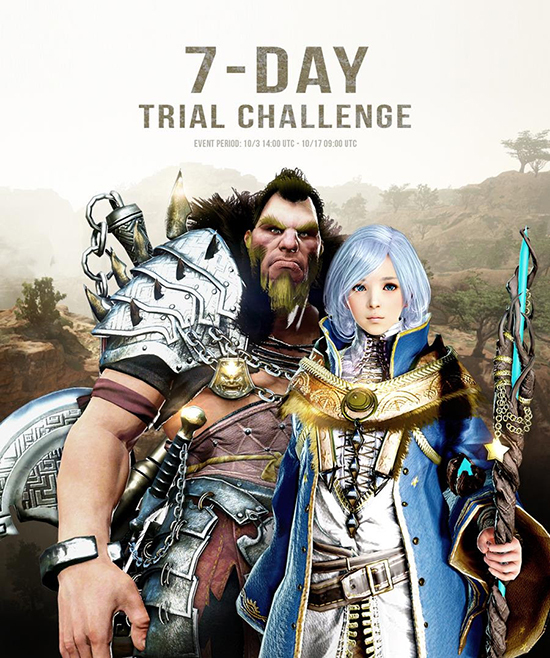 To celebrate this milestone, new adventurers can earn a free copy of Black Desert Online by completing the 7-day trial challenge. Players who start playing Black Desert Online between the 3rd of October up until the 17th of October, reach level 56 on a character and complete that character’s awakening quest before their 7-day trial expires will be rewarded with a free Starters Package that has a $9.99 €9.99 £7.99 value*. Aside from the free game package promotion, players can save up to 50% on rare items offered by in-game NPC Patrigio and can take part on the Kamasylvian Alchemists event, the latest installment of the yearly alchemist challenge where players can earn fantastic rewards. For more information on these events or Black Desert Online in general, please visit the official website. Black Desert Online is an open world action MMORPG with cutting edge visuals and skill-based combat that redefines the genre. Black Desert Online has the most fully developed character customization system of any game that is currently on the market. This feature allows users to break free of the mundane and make unique characters that are truly representative of each and every player. Its intuitive controls, beautifully designed worlds and extensive lore are enough to excite both new and veteran gamers of MMORPGs and RPGs in general. The game has been successfully launched in over 150 countries, is available in 12 languages and has over 10 million registered users. The mobile and console version is scheduled to launch globally in 2018.